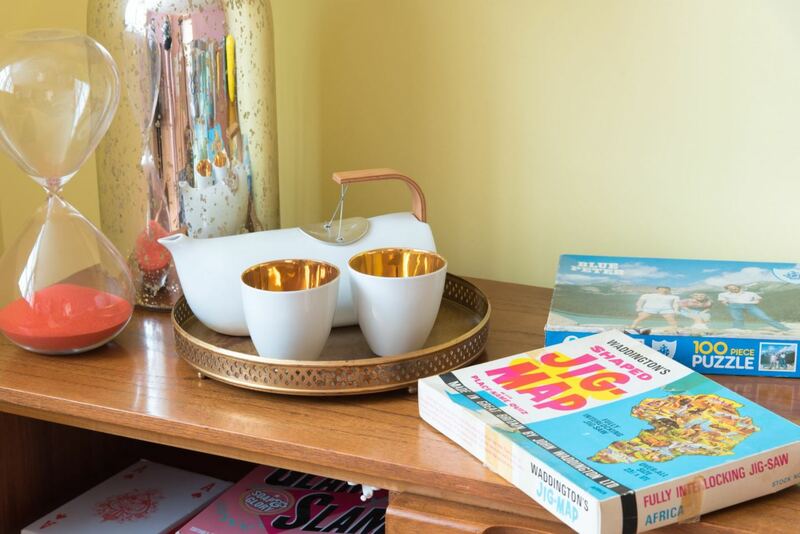 Airbnb: Your Ultimate Checklist (& How To Be An Amazing Host!) - Fashion For Lunch. A few weeks ago I finally did something that I had been intending to do for about a year… I listed our apartment on Airbnb! I had all the usual excuses, no time, it’s not quite ready, I’m nervous.. blah blah blah! And then I put it on a ‘To Do’ list for whilst my boyfriend was away and the night before he got home, I looked at my list and realised there was soooooo much of it I hadn’t done. I decided to do one of those things and the Airbnb listing seemed like something that wouldn’t take me long, but would make me feel really good about myself. The apartment wasn’t quite ready to go, but I figured we wouldn’t get any guests for ages, so by the time we had guests, I would have touched up the paintwork, dusted off the cacti and moved the box of tools into the garage. Of course, the inevitable happened, we instantly got bookings, so we spent the following weekend cleaning, touching up paint, accessorising the bathroom and just making it all look fabulous. We are now officially Airbnb hosts and I have to say, it’s a LOT of fun! I love being able to welcome people to Margate for the weekend, it’s so nice to see the look of glee on their faces when they walk into our pink and yellow living room and whilst the money we are earning isn’t even comparable to how much we have spent on it, it still feels really nice to see some revenue from the apartment! Being an Airbnb host is a little like inviting friends-of-friends to stay, it’s nice to welcome like-minded people to the area and in return you make a little money and you feel confident they will treat your home with respect. When it comes to being an Airbnb host, there is a whole spectrum of what is provided and what is not. Personally, I think it’s nice to give your guests everything you would like to find in the space if you were a guest. I listed out everything I can think of which I consider basic to start with, but beyond that, you can go the extra mile and make it awesome! 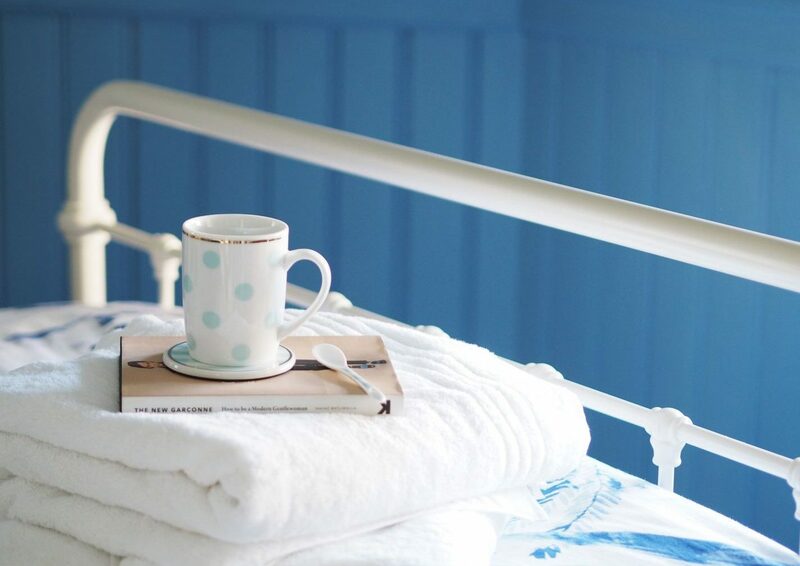 Oh and I can’t stress this enough, when it comes to bedding, towels and mugs (& anything you need to regularly launder), buy multiple sets as we were shocked at how fast we ran out of these items. Speaking of which, I can’t recommend Matalan enough for stocking up on great quality and affordable basics. It’s an Airbnb host’s dream! Coffee Machine & Coffee Pods: Personally, I love it when hotels give me a proper coffee maker with great coffee pods! It’s SO nice to wake up, make a great cup of coffee and have a leisurely hotel experience, rather than a cheap powdered coffee and a race to get out the door for the real stuff. 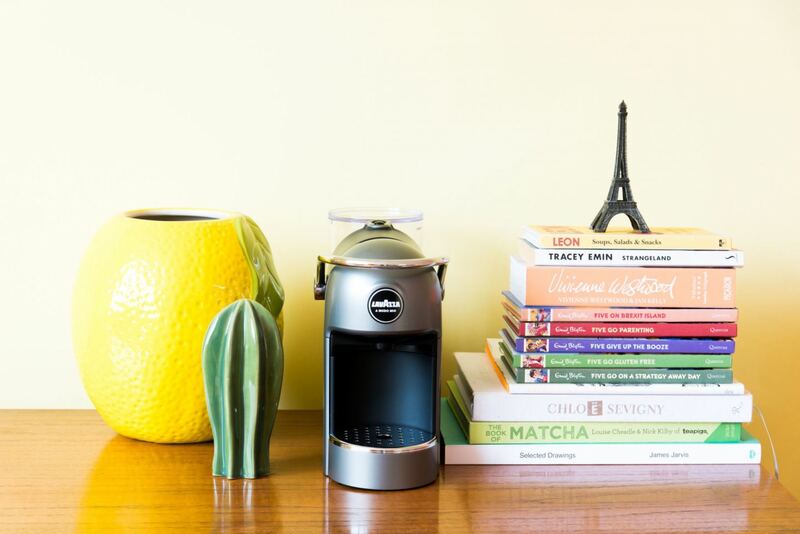 I love this Lavazza machine because it’s small but makes a damn good cup of coffee! Personally I leave 1/2 pods per person, per day. It’s a little extra cost, but it’s such a nice touch! Full Length Mirror: This is something we actually forgot, but after our guests mentioned that they would love a full length mirror, we rushed out to buy one! It just goes show, it’s so easy to forget things, but if you chat and listen to your guests, you can continue to make improvements! 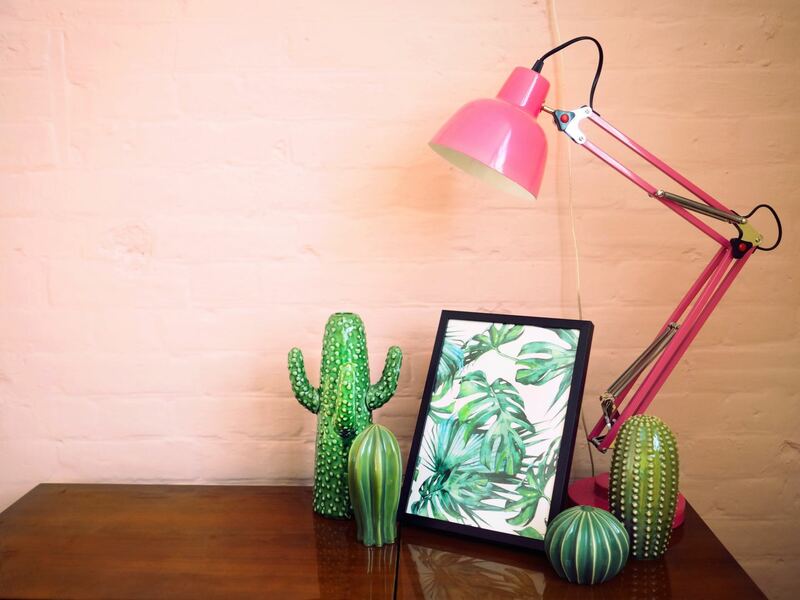 Radio: One of the first things I put in our guest apartment was my pink VQ radio, not only does it look beautiful in the corner of the room, but it’s such a luxury to lie in bed in the morning and listen to radio 4 whilst you slowly wake up. Also, I can’t recommend VQ radios enough because not only do they look adorably vintage, but they are FM and DAB radios with built in bluetooth, so guests can play their iTunes playlists, audiobooks and podcasts by easily connecting it up to their phones. Record Player & Records: Again, how nice would it be to have access to a record player and a small selection of classic albums?! ur record player is vintage, so it can be a little temperamental at times, but let’s be honest, muso’s who love records, love a bit of a record-playing challenge! Alternatively you could get a cute little Crossley record player. 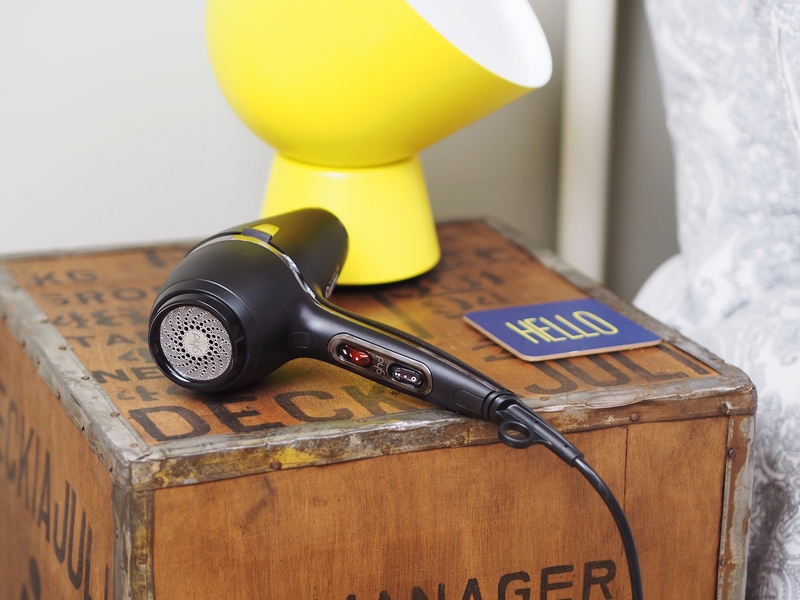 ghd Hairdryer & Styling Tools: Whilst most Airbnb’s will provide a budget hairdryer, I know how much I personally adore my ghd hairdryer. Again, it costs a little more money, but your guests will totally appreciate it. It’s a nicer experience and good days deserve good hair! 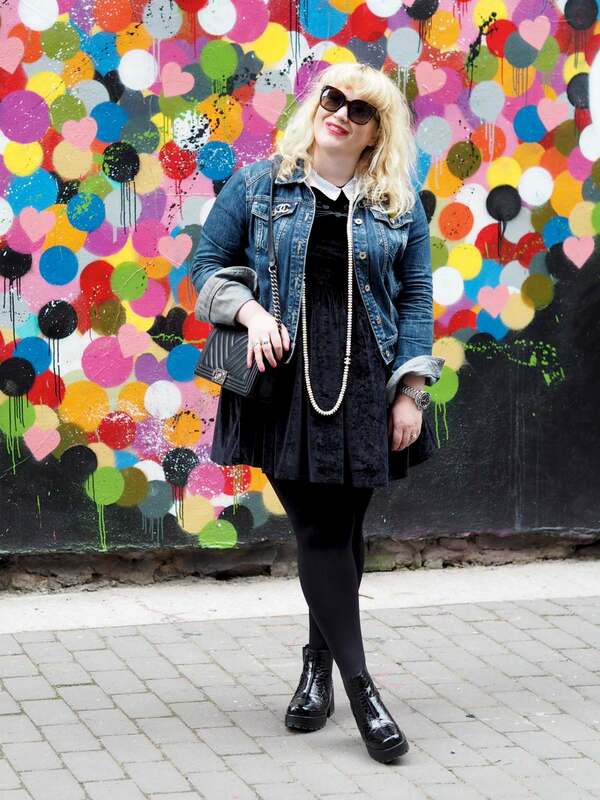 Luxury Toiletries: What can I say, I love the luxe life! It was tempting to put budget products in the bathroom, but damn, I love the good stuff and I think our guests do too! Breakfast / Snacks: Despite the name, not many Airbnb’s provide breakfast, however, we loved the idea of giving our guests a little ‘something something’ to start their day if they wanted. We got a huge stash of Hangry Bars which are delicious, healthy, vegan, raw and generally packed full of goodness. 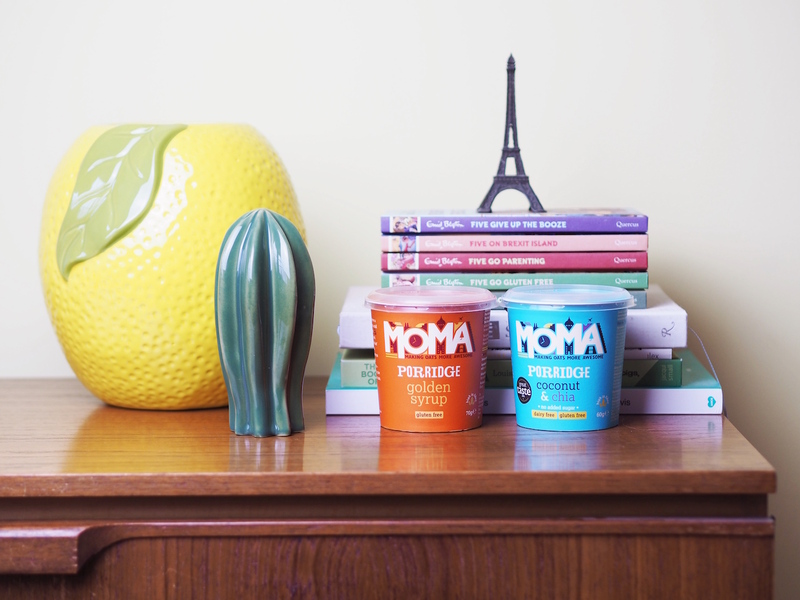 We also have Moma porridge pots in a variety of flavours. I LOVE Moma porridge as they are the best quality oats and really delicious and easy to make, just pour in hot water, stir, wait and eat! Comfortable Sofa & Great Mattress: This was REALLY important to my boyfriend, he wanted the bed to be uber comfortable so our guests had a great nights sleep and he wanted the sofa to be just as awesome. We bought our mattress from Feather & Black and it cost around £1,000 which is a fair price to pay for a guest bed, but it feels SO good. As for the sofa, we got it on sale, but the full price was around £2,700, so it was a lot, but it feels SO good to sit on and we really wanted our guests to enjoy watching TV on the creme de la creme of sofas! 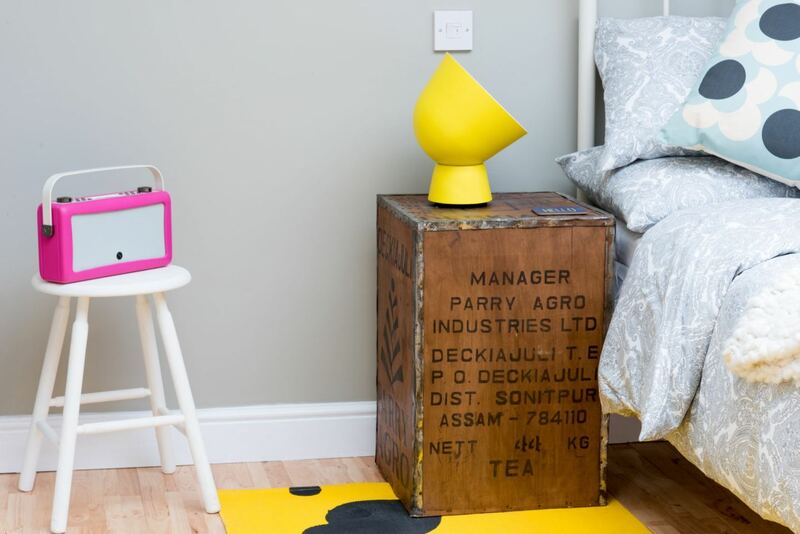 Games, Playing Cards & Books: This one was inspired by Shoreditch House! 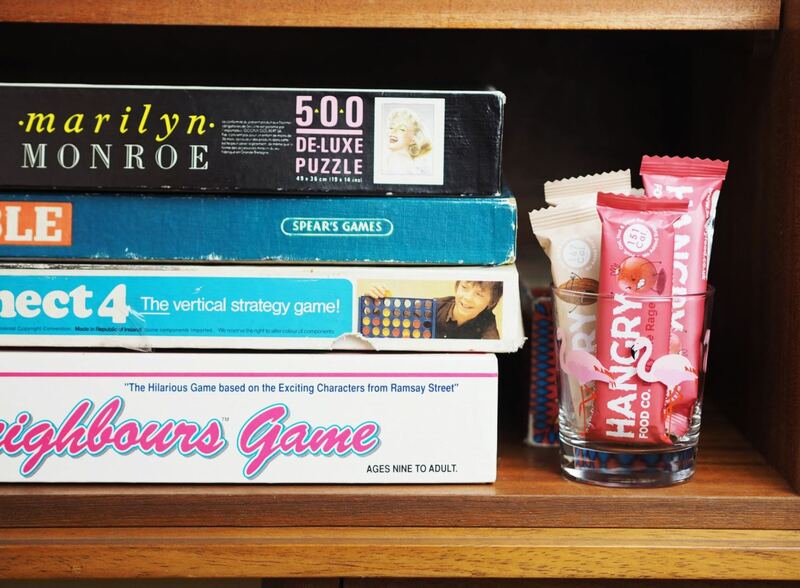 My boyfriend loves all the vintage board games at Shoreditch house and he thought it would be so nice to do something similar for our guests, so we stalked eBay for the classics and went to local charity shops to find some fun jigsaws and games also. Let’s be honest, it’s England, you can’t guarantee sunshine, so it’s nice to have activities for our guests if they find themselves having a rainy afternoon! Phone Charger: Most people will bring a phone charger, but it’s nice to have a spare in the room, or at least let your guests know if they need to borrow one they can. Similarly, you can let them know that there are umbrellas and deckchairs, or whatever you fancy loaning! Luggage Storage & Late Checkout: We have set our checkout time at 1pm as I think that’s a nice time, however, I always let our guests know that if they want to extend it a little that’s fine and if they want to store their luggage later that’s also possible. If you book your cleaner to arrive a little later in the day (ours comes at 3:30pm) you can be extra flexible on checkout times and luggage shouldn’t cause too much of an issue beyond that either. Think Big: As with everything in life, things get a little more exciting when you think big! 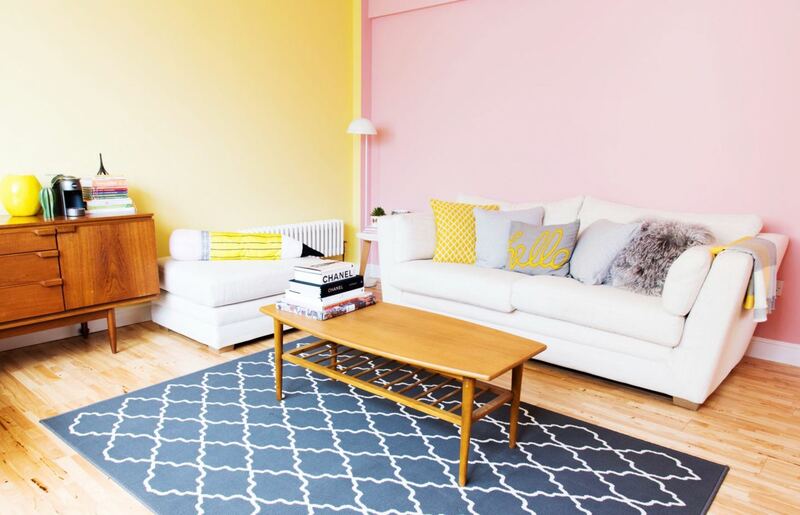 In our apartment we made everything comfortable and cute, but we also stepped out of our comfort zone and painted two walls pink and two walls yellow to spice the decor up, we also added a big ol’ neon sign and vintage record player to give our guests something to Instagram and show off to their friends! If you’ve always fancied a copper bathtub, go for it! Or maybe you fancy a pinball machine? Do it! This is your chance to buy something amazingly cool and have a great excuse for it! Everyone will want to stay in the house with the copper tub / pinball machine / flower wall / jukebox / lip shaped sofa… go for it! Because Airbnb is all about welcoming people into your home and being welcomed into someone else’s home, I’ve noticed the Airbnb community likes to chat plenty before they arrive. Which I really love! When your guests book, welcome them with a nice message about how pleased you are to welcome them, let them know you are available for questions and recommendations whilst they are planning their trip and keep your tone friendly, welcoming and prompt. Personally I like to send restaurant recommendations, things to do and general tips (like any restaurants which need booking in advance). A few days before they arrive, send them a message to let them know any directions, contact details etc and remind them that you are still available if they have any last minute questions. Also, be transparent, let your guests know the advantages and disadvantages of the area, perhaps it’s a great location for town / bars / restaurants, but it might also be a little noisy at night. Let your guests know as they might want to bring a set of ear plugs. On the afternoon / evening of our guests arriving, we have a quick scan around the apartment, check everything looks perfect, clean and all the cushions are fluffed up ready for our guests. If it’s the Winter, we turn the heating up nice and high for their arrival, so they are warm and cosy when they step inside (in the Summer, we’ll probably do something similar but with windows and a fan!). We turn on the lamps rather than main lights, so it’s light without being too bright and it feels relaxing like they can start their holiday. In the bedroom we turn the radio on low and we have the wifi password ready and waiting for them and we quickly run through where they can find everything that might not be obvious (like the hairdryer) and then we point them towards the kettle and wish them a lovely stay and remind them that they have our numbers if there is any questions or anything they need! …And there we have it… your Airbnb hosting checklist as well as some tips on how to make your Airbnb go from being good, to great! I wish i could stay at your place. It is so flippin cute! I’m a little skittish about staying at an Airbnb but hopefully I get to try it soon! Ah thank you! I’m so glad you like it! I WANT TO COME AND STAY. *cries* seriously, I am trying to convince Ben we may just have to come and stay, I love it. The yellow the pink, it is complete goals.